Astronics PGA has been awarded a contract to provide its next-generation seat motion and lighting systems for Jamco’s Venture seat program. Under the terms of the agreement, Astronics PGA will provide complete seat motion and lighting systems for the seat, with technologies including speed control for smooth and quiet kinematic motion, plus controllable mood lighting. This is Astronics PGA’s first project with Jamco, but the parties have also entered into a long-term contract to supply potential future Jamco seat projects. 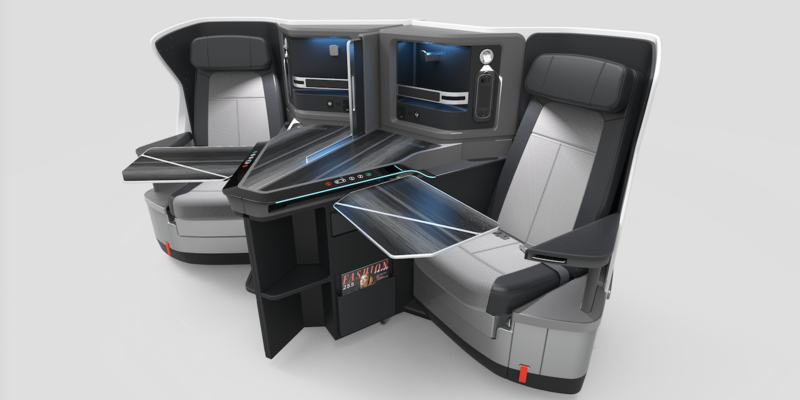 Venture was announced in 2017, and is a good option for Dreamliner operators, as Jamco collaborated with Boeing and Teague to make sure this seating product complements the B787 Sky Interior in terms of style and form. KLM Royal Dutch Airlines recently selected these seats for 8 of their new Boeing 787s, set for delivery in mid-2019. The high-density herringbone layout is intended to work with every available inch of the Dreamliner cabin and every curve of the sidewall to maximize comfort in its 1-2-1 configuration, although it can also be used across an airline’s fleet – including narrow-bodies. A big selling point of Venture is its minimized parts count: some 30-40% fewer components than some competitor seats, according to Jeremy Hunter, senior program manager at Jamco America. A notable example of this minimal approach is the reduction in seams, which reduces seal part count and maintenance and gives a clean appearance, particularly with the one-piece seatback shroud. The single actuator (where Astronics PGA comes in) and three-point seatbelt without airbag are other examples of reducing weight and maintenance.